Please, contact us with any questions, suggestions, or if you have an interest in purchasing any items of art from our Gallery! *Please note: buyers will be asked to cover charges for shipping and insurance. Please, visit our Blog for info and photos from Pocas Cosas shows and events! Also, photos from trips to Mexico to find new treasures! (See photos of the Pocas Cosas "Day of the Dead trip" to Oaxaca and Mexico City, October-November, 2014). Estela Rubalcaba Klink is an active member of Los Amigos del Arte Popular. This is a wonderful group of experts and collectors of Mexican popular and fine arts. Each year, the group sponsors trips to Mexico and other places of interest here in the United States, as well as gatherings and events locally in cities throughout this country. 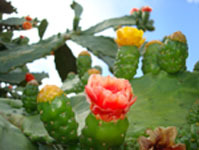 The Los Amigos Website is an extensive source of information about Mexican art and folk art. Satchmo and Chispa, the real "force" behind Pocas Cosas! May 17-19, 2019: Calm Antique Show, Earl Warren Showgrounds (Hwy 101 at Las Positas), Santa Barbara, CA. Saturday, June 1, 2019 (one day only): The Old California Show, Pickwick Gardens, 1001 West Riverside Drive, Burbank, CA 91506. 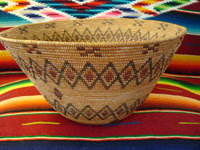 August 2-4, 2019: Great Southwestern Antiques Show, Albuquerque Fairgrounds, Lujan Building, Albuquerque, NM. Friday, Aug 2, Benefit Sneak Preview, 2-7 pm. 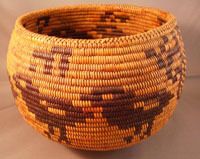 August 9-12, 2019: Whitehawk Antique Indian & Ethnographic Art Show, Santa Fe Convention Center, Santa Fe, NM. Friday, Aug. 9, Gala Preview Opening, 6-9 pm. Saturday through Monday, Aug. 10-12, 10am-5pm. November, 2019: Calm Antique Show (exact dates will be provided when they become available), Earl Warren Showgrounds (Hwy 101 at Las Positas), Santa Barbara, CA. January 24-26, 2020: High Noon/Old West Americana Antique Show,Mesa Convention Center, Mesa, AZ. Friday, Jan. 24, Early Admission, 11:00am-6:00pm. Saturday, February (exact date will be provided when available), 2020 (one day only): The Old California Antique & Fine Art Show, Glendale Elks Lodge, 120 E. Colorado St. (1/2 block east of Brand Blvd. ), Glendale, CA. Saturday, early buyers: 7:00 AM; Show hours; 9-5:00 PM. Please, visit us at the Rosebowl Flea Market (second Sunday of every month), space N-3. Please, also look for us at the Long Beach Antique Market (third Sunday of every month) Veterans Stadium in Long Beach, space B-731 in the Red Section. © 2010 All content of this web site is the possesion of Pocas Cosas. Written permission must be obtained for any use of the content of the Pocas Cosas Website.